So, when I was asked to review these two blood pressure monitors, I was very excited, my husband could take one to work and we could have one at home to use. He monitors his blood pressure a few times a day to due to his Graves Disease and how it increases his heart rate. Many doctors are finding that when you monitor your blood pressure at home, that you get better and more consistent results. We found that both of these Coosh Monitors were consistently accurate. Doctors have found that people with hypertension that monitored their blood pressure at home were 75% more likely to have the condition under control. This is a key factor in making sure you are healthy and that if you are taking medication for hypertension it is working. 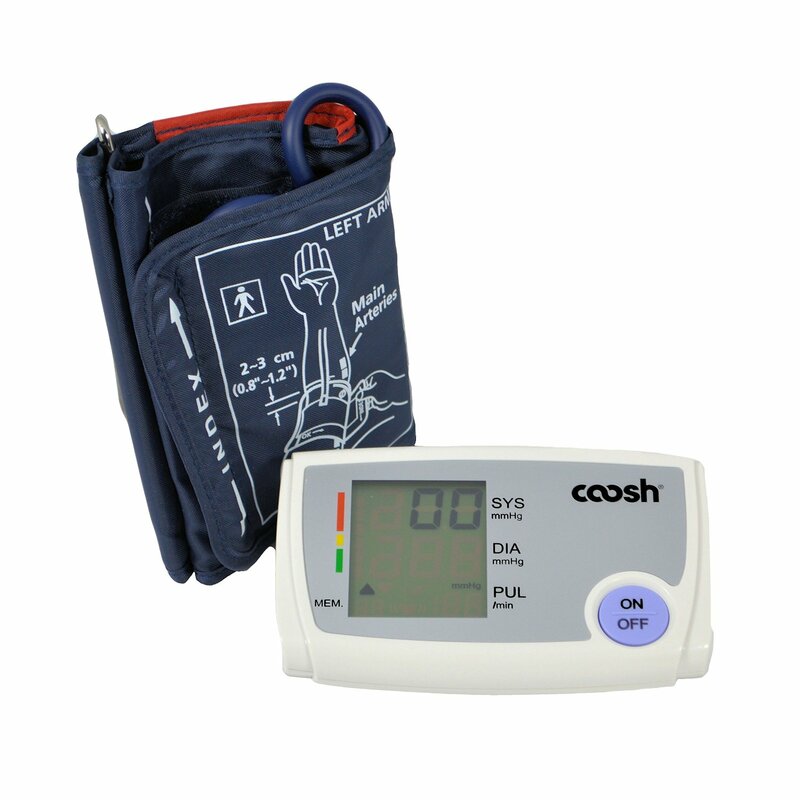 The Coosh monitors have a very high accuracy rate and even nurses have found that they are as accurate as the manual tools they use in doctors offices and hospitals. Hypertension is a chronic disease that poses a risk for cardiovascular disease and increases the risk of heart attack, stroke, kidney disease, and heart failure. An estimated 78 million Americans have hypertension, this is a huge number, it is about 30% of the adult population. If you have diabetes, your risks of hypertension are even higher and your numbers should be even lower than people without diabetes. 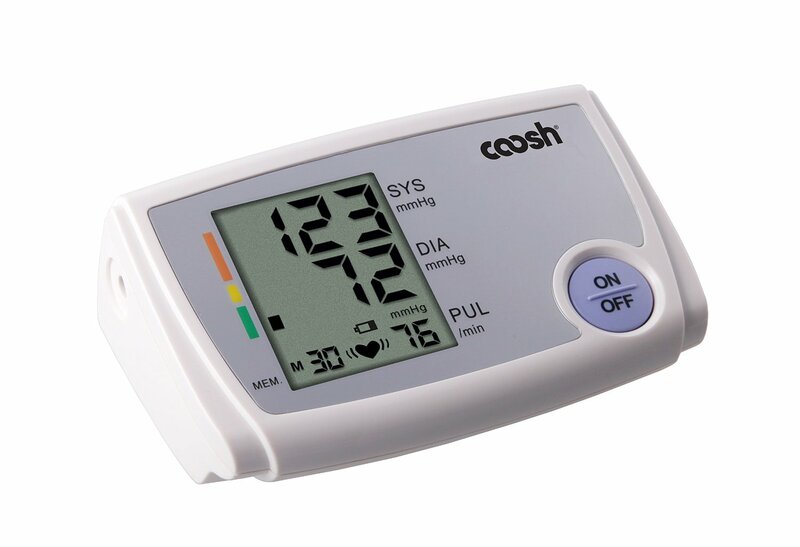 I have found these Coosh Home Blood Pressure Monitors to be easy to use, with a compact bag for portability and both have memory functions to hold up to 90 of the last measurements, when you go to the doctor you can take the monitor with you and your doctor has complete information about your readings. I know that this is not the most exciting thing to read about or even think about, but it is a simple device that is used so easily and could pay off huge for your health, both today and in the long term. Both of the Coosh Monitors seen here have large LCD Display, Date/Time Function Display,WHO Classification Indicator, Intelligent Automatic Measurements, Carrying Case Included they inflate to the appropriate level and each time and has fast readings. I love the big LCD screen and the fact that the cuff is separate. Looks like a really nice company/ products.